Are you an overweight individual looking for a natural yet effective way to lose stubborn fat incredibly fast? If so, then you may be interested in reading this comprehensive article to the very end. As you will be introduced to the leading slimming herbal teas for weight loss. Apart from helping you shed stubborn body fat the natural herbal infusions when combined with exercises and healthy eating practices, can help to boost your immune system. This will help alleviate various diseases and provide the body with essential minerals and nutrients. 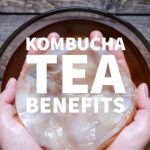 Most of the antioxidant-rich herbal teas discussed in this article accelerate weight loss through controlling appetite and increasing metabolism. Below are the popular, scientifically proven herbal teas for slimming. This is probably the most commonly used slimming herbal tea. Green tea contains an “Epigallocatechin Gallate (EGCG)” catechin that provides it with most of its benefits for herbal tea weight loss. The EGCG catechin has the ability to stimulate the liver thus forcing the body organ to break down fats faster and increase metabolism. This catechin, when used with caffeine becomes an effective appetite suppressant that helps you feel fuller for longer. It also helps you control your insatiable cravings for food. Green tea also has potent thermogenic properties that help it to increase fat oxidation and energy consumption. These thermogenic properties thus help the body to burn stubborn fat faster, which is an essential factor for lowering cholesterol levels. 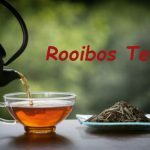 It is recommended that you consume 3-5 cups of the herbal remedy daily, especially before carrying out any exercises or workout sessions if you wish to lose up to 20 percent of body fat within three months. What is Thermogenic/Thermogenesis? It is the production of heat within the body. A temperature increase in your body can help boost your metabolism. This in turn can help you burn more calories. This is called diet-induced thermogenesis. Basically by changing what you eat, you can increase the rate at which you burn calories. Thus helping you lose weight. The Peppermint natural herbal remedy is a potent appetite suppressant that can be used to control what one eats. Peppermint contains various essential nutrients that increase immunity, relieve indigestion and promote weight loss. Additionally, the natural herbal remedy promotes healthy bowel movements through promoting the relaxation of various gastrointestinal organs while soothing all manner of digestive issues. Most herbalists recommend the combination of peppermint with Green tea to create a powerful herbal infusion that is twice as effective when it comes to facilitating weight loss. This traditional South American drink has been taken for its potent medicinal properties for hundreds of years now. Yerba Mate tea contains “Mateine” which is a unique ingredient that can be used to increase body energy while speeding up the metabolism process. The Yerba Mate herb can be used to maintain healthy body cholesterol levels through increasing good cholesterol (HDL) while decreasing the bad cholesterol (HDL) cholesterol. 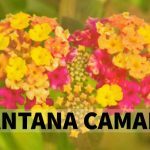 Yerba Mate is also known to cause thermogenesis, which is a vital process that suppresses appetite, while accelerating the burning of calories in the body. This herbal remedy also plays a major role in slowing the digestion process, thus helping you limit the number of calories you consume while making you feel fuller for longer. This natural caffeine-free alternative although, popularly known for its enticing aroma and fragrance can also be taken for weight loss. According to scientific studies, Rose tea contains more antioxidants than Green tea, making it an ideal remedy for most health problems. The natural herbal tea, when combined with fruit flavors like lemon, peach, and orange can be used as a healthy way of dealing with sugar cravings thus promoting weight loss. Rose tea, which is also known as “Rosehip” tea can also be taken to promote faster and healthier digestion. Bilberry tea, when consumed can reduce cravings for sugary or fatty foods through stabilizing blood sugar levels. 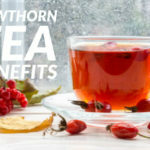 It is recommended that you take this herbal infusion at night before having dinner to benefit more from its potent benefits of herbal tea weight loss. By doing so, you will be able to benefit from the herbal remedy’s appetite suppressing effects. This can help you consume fewer calories thus enabling your body to burn stubborn fat easily. Pu-erh which is considered to be a miraculous yet potent weight loss natural herb has been scientifically proven to not only reduce cholesterol production but to also suppress the conversion of fatty acids that are obtained from foods that are rich in fats into lipids. 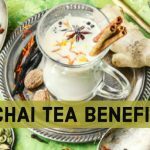 This is because Pu-erh tea is rich in catechins, caffeine and theanine(1), all which are known to boost metabolism while accelerating the fat-burning process. Pu-erh tea actively promotes fatty acid oxidation while inhibiting the formation of fat cells. This herbal infusion can also aid in weight loss through speeding up the digestion of food. Pu-erh herbal tea just like oolong, black and green teas is made from the “Camellia sinensis” plant. Oolong (Chinese name for black dragon) tea contains essential catechins that are used to promote weight loss through boosting the body’s ability to burn lipids (fat). A study that was published in the “Chinese Journal of Integrative Medicine” revealed that Oolong tea may be more potent in promoting weight loss than even the popularly used Green tea. Oolong tea, which promotes fat burning, can help to reduce cholesterol and fat concentration in the body. The antioxidant compounds found in Oolong tea are known to increase fat metabolism by up to 10% in the first 2 hours of consuming the potent herbal infusion. 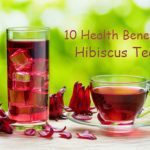 To benefit greatly from these herbal teas for slimming, it is recommended that you should combine them with easy-to-do exercises and commonly accepted healthy eating practices. 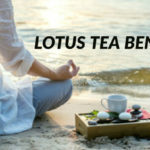 Kindly note that the natural herbal infusions discussed in this article do not offer quick fixes and a great deal of patience and determination is required to succeed in your weight loss journey.